The observation about one’s tools affecting one’s vision or standpoint applies to hand tools, power tools, earth moving equipment, one’s means of transportation and style of life more generally. But it also could refer to the camera one takes on a photo walk, or the one that is nearest to hand when a subject arises unexpectedly and the photographer hears the light speaking and wishes to respond by composing, capturing, then communicating the image to others. “Form factor” is a related concept: when comparing two cameras of similar capabilities, often it is the weight, shape, or configuration of the one over the other that determines which tool becomes one’s camera of choice. Returning to the title and the adage about just having one tool in one’s toolbox, perhaps the case of cameras can usefully be compared. Video versus still image-making is a fundamental split, although many people start with one and branch into the other so as to become bi-lingual, so to speak. Then within each of these there are important levels of complexity and quality, from consumer (casual, point-and-shoot) to prosumer (enthusiast) to professional. And finally, looking at just one camera, each lens presents a different tool for engaging the world (zoom lenses, of course, are a sort-of Swiss Army knife with so many focal lengths rolled into a single attachment to the camera body). Take, for example, the 20mm lens that I got for my APS-C mirrorless camera. Expressed in film camera terms the field of view (crop factor of 1.5x) equates to about 30mm, just a little narrower than an off-the-shelf 28mm lens. After using a 35mm equivalent focal length for most of my shooting on another camera, this new lens seemed a little too wide at first. Later, though, I began to practice composing a scene at idle moments while walking or driving. I have now learned to visualize the frame and determined my best shots have something of interest in the near to middle distance, within the length of one or two cars from the lens. In contrast to this lens that never leaves the mirrorless camera body, a similar mental exercise for seeing the world in terms of a slightly telephoto lens (85 or 105mm equivalent) brings different subjects and approaches into mind. Clearly the lens affects the subjects that come most naturally into your compositions, either the mental ones or the camera viewfinder ones. But the camera configuration, size, ease of carrying and use habits also affect the subjects that come most naturally into your compositions. Similarly the choice of moving or still image capture, or combination of both, also affects the subject that comes most naturally into your compositions. So the next time you think about going on a photo walk, pack up for an assignments, or just casually reach into a coat pocket to capture a spontaneous memory, consider both sides of this coin. Ask how your particular camera seems to guide you to compose and capture certain subjects in certain ways, according to your working habits and the constraints of the particular technology. 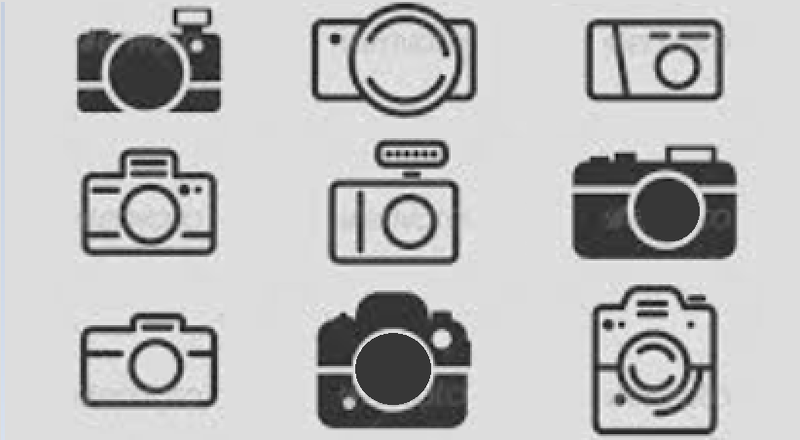 But ask the other question, too: ask how your particular camera seems NOT to take certain subjects and NOT to use certain ways of composing and capturing your subjects. In other words, develop a stronger awareness about how your gear and your mind work together best (for good results) and worst (restricting or adding friction to the process of shooting some subjects, compared to other ones). After all, when you only have a hammer in your toolbox, then you see only the nails in the world all around you. Categories: hardware, heartware, Uncategorized | Tags: asp-c, enthusiast, form factor, hammer, medium is the message, nail, photo walk, prosumer | Permalink. Better Outreach is my aim. See www.linkedin.com/in/anthroview to know more.